Please find below a selection of useful links and documents. The Flood Hub – a knowledge ‘hub’ with information for households, businesses, communities, landowners and about planning and development. An education resources is being developed. If you are having problems with insurance and would like to talk to a local expert for support, please let us know and we can put you in touch with a local insurance expert very kindly giving pro bono support. The National Flood Forum welcomes phone calls from individuals including insurance-related enquiries. 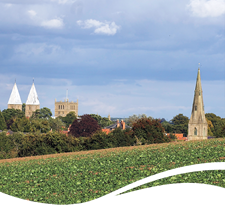 Flood Re – Summary of the dissertation by an MSc Student at Nottingham University who interviewed some Southwell residents for her research. Her full dissertation is available on Amazon – How can the introduction of Flood Re mitigate flood hazard? Flood Re – EFRA committee discussion – The Environment, Food and Rural Affairs Committee hears from Flood Re and the insurance industry on the affordability and availability of insurance for customers in flood risk areas and the impact of the government-backed Flood Re reinsurance scheme. Environment Agency -Insurance Related Requests (IRR) can be requested from the Environment Agency by contacting the National Customer Contact Centre on 03708 506 506 or emailing the local customers and engagement team on DNLenquiries@environment-agency.gov.uk. Whose responsibility is it_ – Who do you contact for issues and concerns around flooding? Nottinghamshire County Council: Report a blocked drain – online or by phone. Nottinghamshire County Council: Have you been affected by flooding? DEFRA – Flood risk management: information for flood risk management authorities, asset owners and local authorities. The Woodland Trust – Flood Risk and trees. Trees and woodland can help water management, reduce localised flooding and alleviate the effects of larger floods in a variety of ways. The Woodland Trust – the Pontbren project – a farmer-led approach to sustainable land management in the uplands. Slow the flow in Calderdale – was set up to look scientifically at the issue of why and how the Calder Valley floods and to look at natural flood prevention measures and solutions to slow the volume of water which comes down the hillsides into the River Calder. Upland Hydrology Group – The Upland Hydrology Group represents a range of interests who are seeking to achieve a sustainable future for the uplands. Their goal is to bring together the knowledge and practical experience of all our members and others and distil that into practical understanding and guidance around key topics. They bring together farmers, land owners, water companies, conservation bodies and the research community. SuDS projects for schools – a project to get children enthused about reducing flood risk. Ever wondered where the rain goes? An animation that provides an engaging overview of SuDS. Maintenance of SuDS – This factsheet is helpful to any person or organisation likely to own SuDS, be responsible for their maintenance, or be responsible for agreeing payment for future SuDS maintenance (eg commuted sums). A new EU Floods Directive – This Directive requires Member States to assess if all water courses and coast lines are at risk from flooding, to map the flood extent and assets and humans at risk in these areas and to take adequate and coordinated measures to reduce this flood risk. With this Directive also reinforces the rights of the public to access this information and to have a say in the planning process. The EU Water Framework Directive – introduces a new legislative approach to managing and protecting water, based not on national or political boundaries but on natural geographical and hydrological formations: river basins. It also requires coordination of different EU policies, and sets out a precise timetable for action, with 2015 as the target date for getting all European waters into good condition. Flooding and Coastal Erosion Risk Management Network – the purpose of this network is to bring together this diverse group of expert practitioners and provide opportunities for collaboration that will: Foster innovative thinking in flood risk management, Share the outcomes of research with diverse audiences in meaningful ways, Promote the translation of research outcomes into policy and practice, Stimulate pioneering research that is driven by real and timely needs, and that makes a genuine difference to those at risk from flooding and coastal erosion. CIRIA – development of a Code of Practice and guidance for property flood resilience – 1) Flood resistance: the use of materials and approaches to prevent water entry into property. 2)Flood recoverability: the use of materials, products and construction methods that can be readily restored after flooding. Flooding and Historic Buildings – This guidance is designed to assist those who live in,own or manage historic buildings that together with their historic fixtures and fittings are threatened by periodic flooding. Environmental Agency: Flood Flood warnings, alerts and information about how to be prepared for flooding and what to do during a flood. If you are unable to register online because you are outside the area of flood risk according to the EA maps (which are being updated), you may register an “area of interest” and thereby ‘qualify’ to receive flood alerts. You need to phone 08459 88 11 88 in order to register your contact details. You can register up to 5 numbers to receive landline/mobile/email alerts, so you can include relatives and neighbours who can respond if you are away. British Red Cross Emergency App – you can tailor it to your area, family and friends. This free app sends you alerts about a huge range of emergencies in your area – and tells you exactly what to do when they happen. netweather.tv – Satellite radar imagery update every 15 mins. Rain Alarm App – For Apple devices. Available for Android devices here. Shoothill GaugeMap – River level monitor around Southwell. Flood Re – The Environment, Food and Rural Affairs Committee hears from Flood Re and the insurance industry on the affordability and availability of insurance for customers in flood risk areas and the impact of the government-backed Flood Re reinsurance scheme. 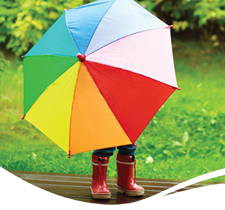 British Insurance Brokers’ Association – to find a local broker who will help find a flood-friendly insurer. A short film to show how to alleviate flash flooding – Newcastle. A PDF by the Woodland Trust about how integrating trees into farming systems can improve water quality and help mitigate flooding, while also supporting production. Contains a mini site – www.bluepages.org.uk – directory of flood protection products and services. The National Flood Forum welcome phone calls from individuals in need of flood advice including insurance-related enquiries. All the information individuals and businesses need to understand how to protect a property and to find a trusted and appropriate provider for the protection product needed. ‘One stop shop’ for flood related information and access to trusted FPA members. For flood-related services and products please refer to the National Flood Forum’s Blue Pages and the Flood Protection Association’s directory of accredited members. First Contact – a service for people aged over 60 and vulnerable adults who need help to receive vital services to stay safe and independent in their homes.